Poisoning is one of the most horrifying ways to be murdered. Instead of a quick death, poisonings are often very painful and protracted, leading to much suffering for the victim before they pass away. But the most frightening aspect of being poisoned is that you usually do not see it coming. The victim starts suffering symptoms which they believe the result of a standard illness, unaware that someone has deliberately put a lethal substance into their body. In some cases, a murderer can successfully poison multiple victims before anyone realizes something is wrong. In June 1914, Frederick Mors left his native Austria and immigrated to New York City, soon finding himself as a porter at a nursing home called the German Odd Fellows’ Home. It wasn’t long before Mors was promoted to nursing assistant, but suspicious things started happening. Even though it isn’t unusual for nursing homes to lose their elderly patients, far more died than normal—17 German Odd residents died within four months. It was soon revealed that Mors was personally responsible for at least eight of those deaths. Mors initially used arsenic, opium, and morphine to poison his victims, but he decided to invent a new method of poisoning that wouldn’t leave any evidence. 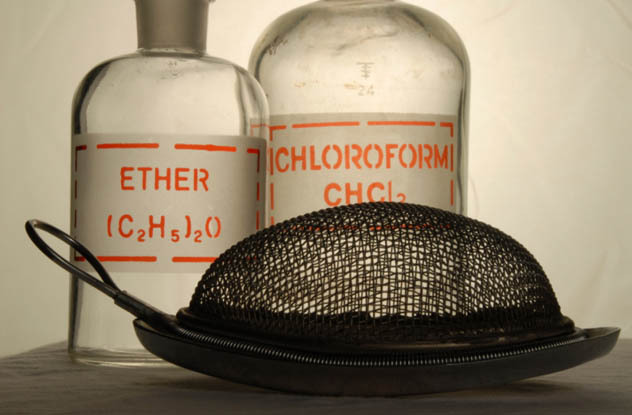 He anaesthetized the patients before pouring chloroform into their mouth. When burn marks were discovered around the mouth of one of Mors’s victims, he refined his method, now greasing victims’ faces with Vaseline. Mors might have kept getting away with his murders indefinitely, but he decided to confess his crimes to an assistant district attorney in February 1915. According to his confession, his victims had needed to be put out of their misery. Mors was committed to Matteawan State Prison for the Criminally Insane, but sometime during the 1920s, he escaped from the facility. He was never caught and his ultimate fate remains a mystery. The most terrifying serial poisoners are those so proficient that no one is sure how many victims they really killed. If Frederick Mors had not chosen to turn himself in, he might have gone on a poisoning spree similar to that of another nurse, Orville Lynn Majors. In 1993, Majors started work at the Vermillion County Hospital in Clinton, Indiana. The death rate of the hospital’s patients soon skyrocketed. Before Majors started working there, the hospital had an average of 26 deaths per year. In 1994, the number rose to 101. During Majors’s two-year stint, a total of 147 patients passed away, and most of these deaths occurred on his watch. So many patients died while Majors was on duty that the staff actually started placing bets on which would die next. The hospital became suspicious and finally suspended Majors’s nursing license in 1995. A criminal investigation began, and the bodies of some of the deceased patients were exhumed. Six victims showed traces of potassium chloride. 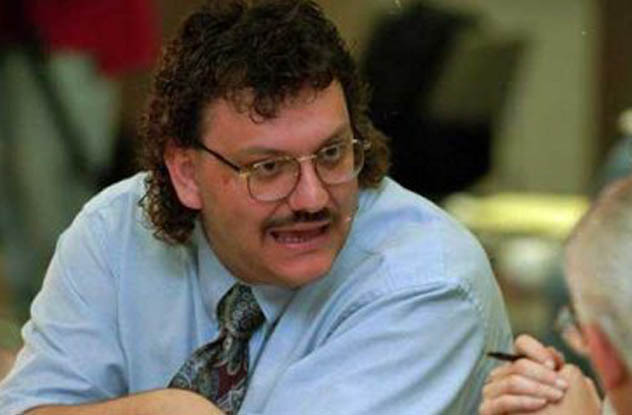 In December 1997, Majors was arrested and charged with six counts of murder after vials of potassium chloride and syringes were found at his house. Since Majors had been seen alone with these victims shortly before their deaths, he was found guilty of all charges and received a life sentence. However, it remains unclear how many people who died under Majors’s watch were actually murdered. Majors was conclusively linked to six deaths, but he may have been responsible for poisoning as many as 130 patients. As 1966 began, 35-year-old Janie Lou Gibbs was living a seemingly normal life in Cordele, Georgia with her husband, Charles. The couple had three sons together: 19-year-old Roger, 16-year-old Melvin, and 13-year-old Marvin. However, the family would soon suffer a series of tragedies. On January 21, shortly after eating a meal prepared by his wife, Charles Gibbs collapsed and died, and doctors blamed it on undiagnosed liver disease. Nine months later, Marvin died in a similar fashion, and only a few months after that, Melvin suddenly passed away of what was initially believed to be hepatitis. Janie soon became a grandmother after Roger’s wife gave birth to their first child, Ronnie. However, by the end of 1967, both Roger and Ronnie were dead. When he was only one month old, Ronnie passed away of an apparent heart condition. Roger’s kidneys stopped working three weeks later. The authorities finally became suspicious, so the bodies of the Gibbs family were exhumed, revealing traces of arsenic in their systems. Janie had been using rat poison to murder her family and collected over $31,000 in life insurance payouts. After her arrest, Janie was declared insane and sent to a state mental hospital until 1976. When she was found competent to stand trial, Janie received five life sentences for her crimes. She eventually suffered from Parkinson’s disease and was released on a medical reprieve to live in a nursing home until her death in 2010. One of the most notorious unsolved mysteries of all time is the Chicago Tylenol murders of 1982. Seven people died after taking Extra-Strength Tylenol capsules, which an unknown culprit had laced with potassium cyanide. Years later, that incident inspired a whole other series of murders. Stella Nickell lived in Auburn, Washington with her husband, Bruce. 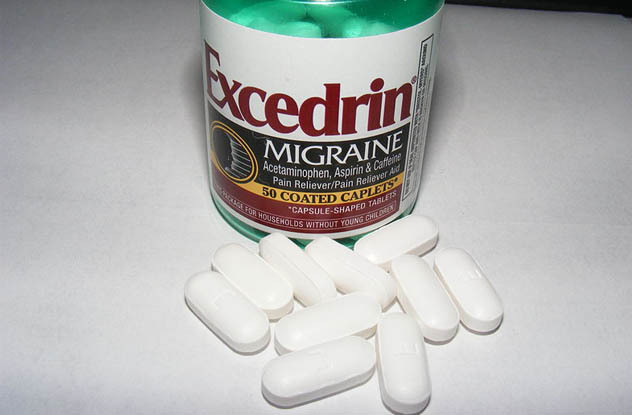 Bruce came home with a headache on June 5, 1986 and took four Extra-Strength Excedrin capsules. He collapsed minutes later. When he died at the hospital, the medical examiner initially ruled that the cause of death was emphysema. However, things took a surprising turn six days later when another Auburn resident named Susan Snow collapsed and died after taking the same Excedrin medication. An autopsy determined that Snow died of cyanide poisoning, and her Excedrin bottle turned out to contain more cyanide-laced capsules. After Snow’s death made the news, Stella Nickell came forward to report that her husband died under similar circumstances, leading authorities to believe an unknown party was poisoning Excedrin pills. In actuality, the culprit was Stella herself. She had planted three bottles of cyanide-laced Excedrin on a supermarket shelf, one of which Susan Snow purchased. Stella hoped that Snow’s death would convince authorities that Bruce was the random victim of a product-tampering murderer. However, Stella’s daughter told investigators that her mother frequently spoke of poisoning Bruce to collect a substantial life insurance payout. Stella’s fingerprints appeared on several library books about poisons, and the signature on one of Bruce’s insurance policies was discovered to be forged. In 1988, Stella Nickell was indicted on five counts of product tampering and two counts of causing death. She was sentenced to 90 years in prison. Stanford University, one of America’s most prominent educational institutions, was formed by Leland Stanford and his wife Jane Lathrop Stanford in 1891. 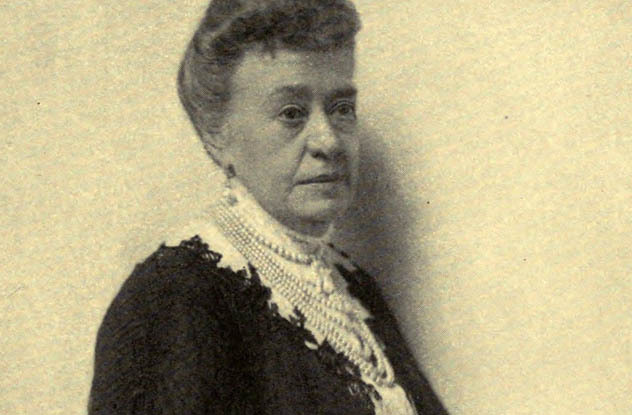 After Leland died two years later, Jane assumed control of the university until her mysterious demise at the age of 76. On January 14, 1905, Stanford drank some mineral water inside her San Francisco home, but the bitter taste prompted her to vomit it out. Stanford became suspicious and sent the water to be analyzed. The water had been poisoned with strychnine. After an investigation failed to turn up who was responsible, Stanford decided to leave on a trip to Hawaii. She was staying at the Moana Hotel in Honolulu on February 28 when she asked her personal secretary to prepare a bicarbonate of soda for her upset stomach. Later that evening, after drinking the soda, Stanford started to panic and cry out that she had been poisoned again. She started suffering from spasms and lost control of her body before she passed away. Traces of strychnine were found in both Stanford’s body and the bicarbonate. In spite of this, Stanford University President David Starr Jordan hired a local doctor to dispute the poisoning theory and say Stanford had died of heart failure. As a result, her suspicious death was not investigated as a murder for several decades. Since the bicarbonate had been originally been purchased in California before Stanford left for Hawaii, it was easily accessible to several people and there would have been plenty of opportunities to put poison in it. While there are numerous theories about what might have happened, Jane Stanford’s poisoning remains an unsolved mystery. On January 26, 1948, a Tokyo branch of Teikoku Ginko bank (“Teigin” for short) was about to close when a man arrived, identifying himself as “Dr. Yamaguchi Jiro” of the Ministry of Health and Welfare. He claimed that he had orders to inoculate the employees against a recent outbreak of dysentery. The man gave all 16 people inside the bank a pill to ingest, but little did they know that the “medicine” was a deadly poison. The employees were immediately incapacitated, and the man helped himself to 160,000 yen of the bank’s money. 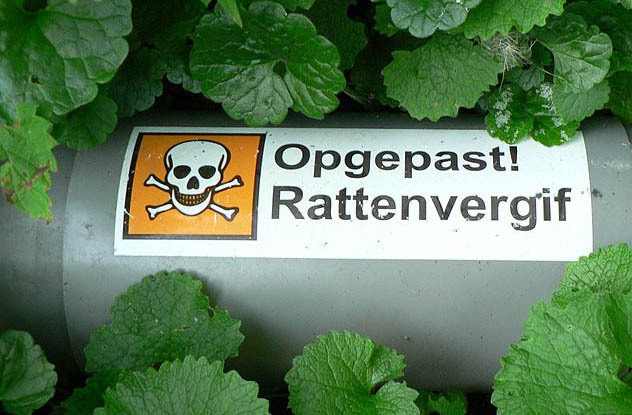 Twelve of the 16 victims died from the poisoning. The name on the business card, “Yamaguchi Jiro,” was fake, and the investigation soon turned towards a 57-year-old tempera painter named Sadamichi Hirasawa. Hirasawa had recently come into a large amount of money similar to the amount stolen from the bank, and he couldn’t explain its source. Hirasawa was arrested and eventually confessed to the crime, but he later recanted and claimed he only confessed after being tortured for 35 straight days. Nevertheless, he was found guilty and sentenced to death. However, no conclusive evidence tied Hirasawa to the crime, so his execution was never carried out. Hirasawa remained in prison until 1987 when he died of pneumonia at the age of 95. 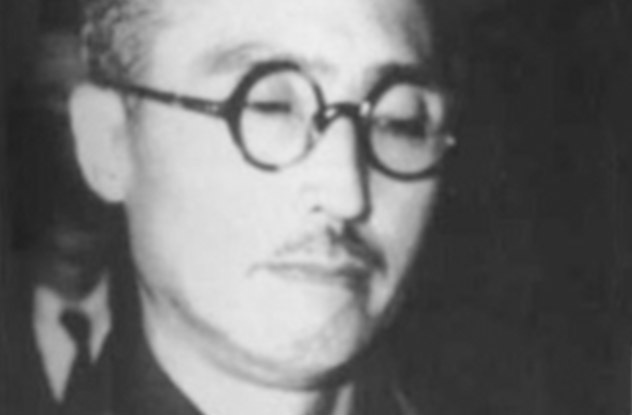 His family has long tried to clear his name, and to this day, many people still believe that Hirasawa was not actually responsible for the Teigin Incident. In 1975, Audrey Marie Hilley lived in Anniston, Alabama with Frank, her husband of 24 years, and their two children, Carol and Mike. Throughout the year, Frank was often very ill, and after being checked into the hospital, he passed away. The official cause of death was infectious hepatitis. Marie wound up collecting on a $31,000 life insurance policy. No one had any suspicions about Frank’s death until years later, when Marie decided to take out large insurance policies on her children as well. In 1979, Carol started suffering from some of the same nauseous symptoms which befell her father. Marie kept giving Carol injections which were supposed to alleviate the nausea, but they only made her even more ill. When Carol was admitted into a hospital, one of the doctors began to suspect that she was being poisoned. Tests revealed that she had a dangerously high level of arsenic in her body. This prompted an exhumation of Frank Hilley, and a toxicology report revealed high levels of arsenic in his body as well. It became clear that Marie had been strategically murdering her family to collect on their life insurance policies. After she was arrested, Marie was released on bond and escaped to Florida. She started a new life under the name “Robbi Hannon” and married another man, but her life from this point onward became increasingly bizarre. She left her new husband before returning under an alternate persona, saying that Robbi had died and that she was now Robbi’s twin sister Teri. Police finally captured Hillery in 1982, and she received a life sentence. She tried to escape from prison five years later and was found in the woods, suffering from hypothermia. She died of heart failure soon afterwards. 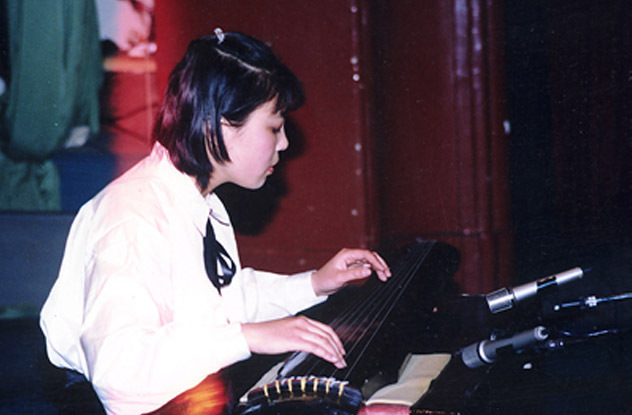 In 1994, Zhu Ling, a 21-year-old student at Tsinghua University in Beijing, started suffering from unexplained medical problems. These included hair loss, blurred vision, and acute stomach pain. She eventually fell into a coma, and her strange symptoms continued to baffle doctors. Desperate for help, two of Zhu’s friends decided to turn to the Internet, which was still in its infancy in China at that time. They shared Zhu’s story on several newsgroups, providing a detailed description of her symptoms. They wound up receiving thousands of responses, many from people who believed that Zhu had been poisoned by a toxic heavy metal known as thallium. Subsequent tests confirmed that Zhu did indeed have high levels of thallium in her body. Doctors were able to save her life. Unfortunately, the poisoning caused severe neurological damage for Zhu. To this day, a large section of her body is paralyzed and she is unable to speak. The prime suspect has always been Sun Wei, Zhu’s roommate at the university, who happened to be one of the only students with access to thallium. However, some of Sun Wei’s family members are powerful Communist Party officials who’ve allegedly used their influence to hamper the investigation. In 2013, an online White House petition garnered over 143,000 signatures which demanded intervention in the case, but the poisoning remains unsolved. In April 1969, Velma Burke lived with her family in Parkton, North Carolina when her husband was suddenly killed in a house fire. Even though his death was accidental, a string of suspicious deaths followed Velma throughout the next decade. Velma soon changed her last name after getting remarried to a widower named Jennings Barfield. However, the marriage would be short-lived as Jennings died of apparent heart failure in 1971. Another apparent tragedy struck Velma’s life in 1974 when her mother, Lillian Bullard, died after suffering a violent illness. Velma then found a job caring for an elderly couple named Montgomery and Dollie Edwards. In 1977, they both became gravely ill and died within one month of each other. Velma soon went to work for another elderly couple named John Henry and Record Lee. It wasn’t long before John died of another mysterious illness. While caring for the first couple, Velma had become romantically involved with their nephew, Stuart Taylor. 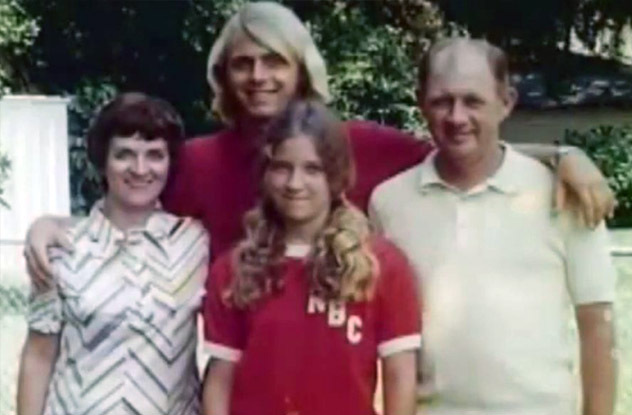 Stuart wound up being her last victim, dying on February 3, 1978 after falling gravely ill. Stuart’s kids requested an autopsy, and traces of arsenic were found in his body. Velma eventually confessed to putting rat poison in Stuart’s drinks and was charged with his murder. Afterward, the body of Jennings Barfield was exhumed and traces of arsenic were also found in his system. Velma subsequently confessed to poisoning her mother, John Henry Lee, and Montgomery and Dollie Edwards. Even though she was now a serial killer, Velma only went on trial for the murder of Stuart Taylor. That charge alone was enough to earn her a death sentence. On November 2, 1984, she became the first woman executed by lethal injection. Cousins Herman and Paul Petrillo were career criminals from Philadelphia who decided to form a matrimonial agency during the 1930s. The purpose of their agency would be to help widowed women remarry and get life insurance policies for their new husbands. 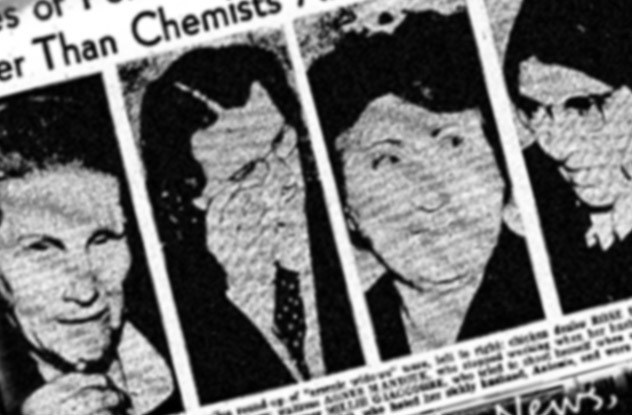 However, since the agency functioned as a conduit for collecting money from these policies, the Petrillo cousins and their gang had a vested interest in making sure their clients’ husbands came to tragic ends, often with the wives as willing accomplices. Paul considered himself to be a practitioner of witchcraft and intended to use black magic to cause the husbands’ deaths. When that didn’t work, they decided to use arsenic instead. And they might have gotten away with it too, but the two couldn’t limit themselves to killing just their clients’ husbands. In 1938, Herman was having an affair with a woman named Stella Alfonsi and offered to pay an associate to murder her husband Ferdinando. He wanted this associate, George Meyer, to hit Ferdinando with a car to make his death look like an accident. Herman later simply poisoned Ferdinando with arsenic because Meyer was taking so long to act. The reason Meyer had delayed action for so long was that he was actually a police informant, working with investigators to catch the Petrillos on an unrelated counterfeiting charge. When Ferdinando died, Meyer talked to the police and launched an investigation. Authorities now noticed a pattern of Italian immigrants dying of arsenic poisoning throughout Philadelphia. Virtually all these victims had wives who took out life insurance policies through the Petrillos’ agency. The total number of poisoning victims officially attributed to them was 35, though authorities suspected it might have been higher. A total of 14 people from the Petrillo cousins’ gang were sentenced to life imprisonment. Herman and Paul both went to the electric chair.